It’s Cowes Week which means one thing! I will spend the whole week wishing I were aboard a yacht in the middle of the ocean rather than sat at my desk sipping tepid hot chocolate. Between doing actual work I’ve been feverishly checking the race results and obsessively tweeting my favourite shoe brand @Sperry_UK badgering, begging and pleading with them to make me the proud owner of a pair of Sperry Topsiders. Don’t worry, I’ve not become a PR’s worst nightmare, they’re actually giving away a pair of their Authentic Originals on twitter every day until Saturday (18th August). All you need do is follow @Sperry_UK on twitter and then tweet them including #Sperry_UK and #PassionForTheSea and a winner will be picked at 6pm each day. Patriotic to the max I feel these fab little beauties would fit right in with any nautical themed outfits I throw together. You can’t go sailing without a bit of seersucker. These would be a great upgrade to my breton striped wellies I seem to don every time we go sailing and would help me lose the tan line wellies I’ve been rocking all summer long! 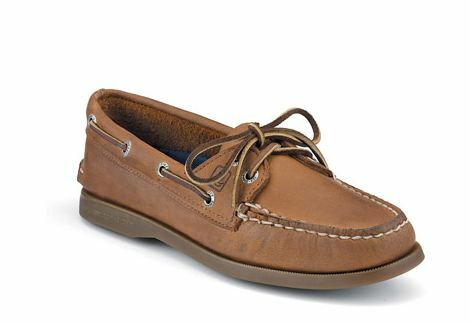 Speaking of tan, these would be the perfect go to shoe for both land and sea and would have me looking ship-shape in an instant. My fingers will be firmly crossed that I win a pair before Friday when I’ll swap my ocean cravings for rubbing shoulders with some VIPs in the V Fest Louder Lounge. Will you be heading out for Cowes Week this year?